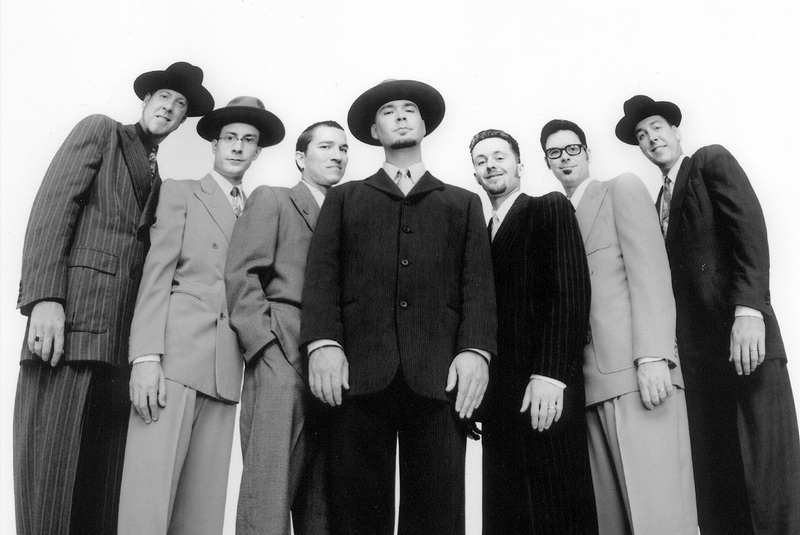 2018 marks the 25th anniversary of Big Bad Voodoo Daddy’s remarkable arrival onto the music scene. Since it’s formation in the early nineties in Ventura, California, the band has toured virtually nonstop, performing on average over 150 shows a year, and has produced a sizable catalog of recorded music, with sales of over 2 million albums to date. Early on, during their legendary residency at the Derby nightclub in Los Angeles, they reminded the world, in the midst of the grunge era no less, that it was still cool to swing. The band, cofounded by singer Scotty Morris and drummer Kurt Sodergren, was at the forefront of the swing revival of that time, blending a vibrant fusion of the classic American sounds of jazz, swing, and dixieland, with the energy and spirit of contemporary culture. Back at the Sheldon after a sold-out Wild and Swingin’ Holiday Show in 2017, Big Bad Voodoo Daddy celebrates 25 years as swing revival all-stars. They return to the Sheldon by popular demand, after a standing room only, swingin’ 2017 Holiday performance. $60 VIP	Standing Room available only.